When your business is under attack, you need a trusted name in business litigation. Robert Klein has decades of experience as an attorney, and as a former CPA, he knows how the financial side of businesses operate. Whether you need an attorney for a single case or throughout your company’s lifespan, Klein is known for finding creative solutions to complex business lawsuits. Robert Klein has been a practicing attorney since 1987. He attended DePaul University, University of West Los Angeles School of Law and Golden Gate School of Law. He possesses a Juris Doctor and CPA, and he studied business, law and taxation. After graduating from law school, attorney Klein practiced at a civil litigation firm for several years. When that firm disbanded, he started his own practice in 1994. When he takes a case, he handles every aspect himself. He is known for his high-tech and persuasive presentations in the courtroom, along with thorough knowledge of all the local, state and federal laws that could affect your business. What Kind of Cases does Robert Klein Handle? Any time there is a dispute between businesses, attorney Klein can find solutions that are fair and lawful. The cases he focuses the most on involve trademark infringement, copyright infringement and other forms of intellectual property litigation. If you are just starting a business and want to make sure that you are following the law correctly, Klein can explain the processes of business incorporation and trademark registration. As his past cases have shown, even if you create a trademark that is unique in your industry, you could face complications if other companies with similar intellectual property decide to expand into other sectors. Additionally, if he acts as your registered agent, he will receive first notice of any potential legal issues threatening your company, and he can steer you around obstacles that often derail a company’s success. University of Illinois – C.P.A. Lujian v. G&G Fire Sprinklers – Resulting in California amending its laws on prevailing wage. When business owners work hard to create a reputable brand, they deserve all the success they get. 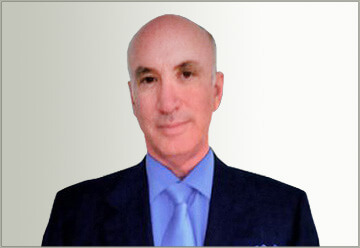 Unlawful and unfair business practices deserve a strong response, and Robert Klein has experience resolving common disputes that plague companies of all sizes. His cases involve both national and international parties, and he welcomes the opportunity to discuss your company’s legal needs. Call (323) 405-1002 or submit a form today to contact us to discuss California business law. Home » Robert G. Klein, Esq.